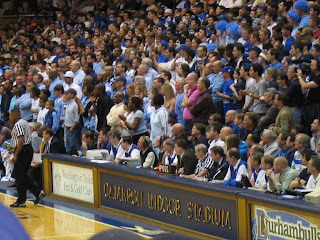 TheWirk.com ~ voted BallHyped.com's 2010 "Best Independent Sports Blog": Quick Poll: Duke or Maryland ~ Where would you go to play basketball? Quick Poll: Duke or Maryland ~ Where would you go to play basketball? So for the past 2 days or so, I've been debating back and forth with a friend over what program is better for a top college basketball prospect (i.e. assuming money is no object). I think the whole debate started after Coach K was featured on ABC News Nightline. I realize that we all have our own opinion so let's take it to the blog and involve more people, since I know how my friends think I'm curious about the public's opinion. Money not being a concern, if you were a TOP basketball prospect, where would you go to college to try to ensure that you have the best future in the world of basketball (i.e. coaching, agents' pull, team's ability to win, basketball alumni network, etc.) 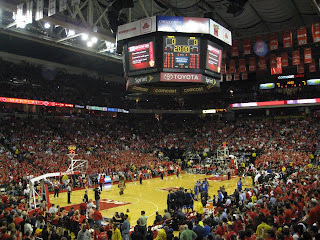 ~ DUKE or MARYLAND? i've been arguing with someone for a couple of days now about whether a top prospect should go to duke or maryland. the guy arguing with me still chooses maryland ~ even though all his stats place the blue devils program ahead of the terps!